We are offering Welded Wire Mesh to our clients. Provides security from intruders on open land, farms, houses, factories, parks, airport runways, tennis courts etc. 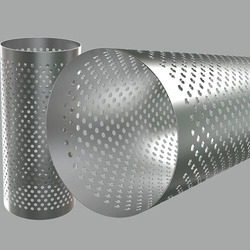 We are offering Weld Mesh to our clients. we are offering this in 10g and 12g thickness with 3", 4" and 5"
We take pleasure in introducing ourselves as leading firm by offering PVC Holland Mesh. We have highly acknowledged organization engaged in presenting a remarkable range of Vacuum Infusion Mesh. We are engaged in supplying a wide range of Stainless Steel Wire Mesh. Woven with stainless steel wire, are anti corrosive. Acid an heat resistant. These Stainless Steel Wire Mesh are capable to suit the dynamic demands of construction and engineering industries.